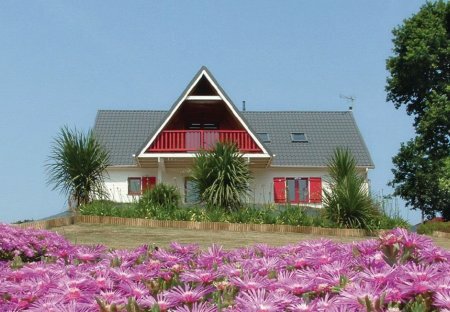 Rent villas in Yvias, France with private pools. This superb wooden holiday home features a roofed terrace on the upper floor, that offers you an impressive view of the surrounding greenery. The living room with open kitchen and dining area. 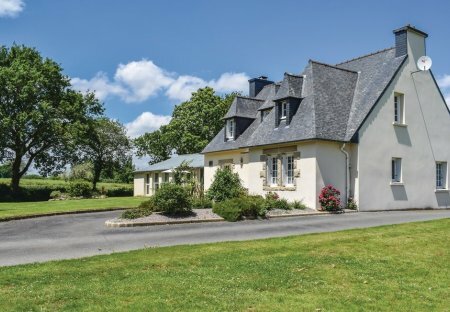 In the countryside, just outside the town of Yvias, towards Plourivo, this neo Breton house is located in a quiet dead end.